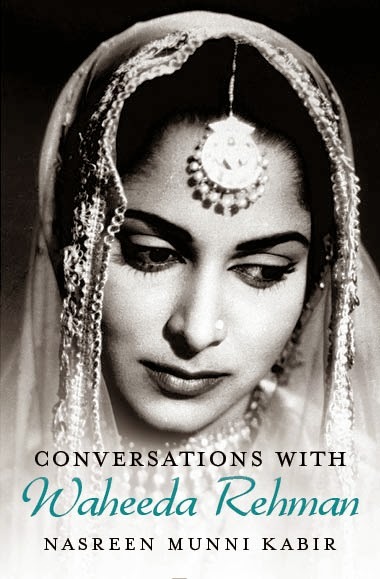 Conversations with Waheeda Rehman, just published by Penguin/Viking, is the latest in Nasreen Munni Kabir’s series of book-length interviews with cultural figures; earlier entries include books on Gulzar, Lata Mangeshkar, A R Rahman and Javed Akhtar. Kabir has also made such documentaries as In Search of Guru Dutt and The Inner and Outer World of Shah Rukh Khan. 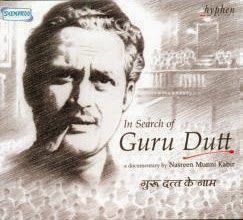 Your long interest in Guru Dutt’s career is well known. How central was Waheeda Rehman’s presence to that career, especially in classics like Pyaasa and Kaagaz ke Phool? My interest, I would say obsession, with Guru Dutt began in the early 1980s and it was obvious to me that Waheeda Rehman is essential to his films. Her characters are etched on the viewer’s minds because they provided the compassionate and caring presence that countered Guru Dutt’s melancholic hero. In Pyaasa, she is the nurturing mother figure whom the poet seeks at the end of the film, but to whom he never actually declares his love. In Kaagaz ke Phool, the doomed director Suresh’s love for Shanti (Waheeda Rehman) is important, but isn’t a strong enough force to save him from hurtling to self-destruction. Although Guru Dutt is really the centre in all his films, Waheeda Rehman’s characters dominated the subplots. I say subplots because we mustn’t forget that she played second heroine in Pyaasa (Mala Sinha is the lead) and Sahib Bibi aur Ghulam (with Meena Kumari as the towering Chhoti Bahu). But Waheeda Rehman’s presence in both films is so vital that most people think of her as the lead heroine in Guru Dutt’s work. That said, her contribution to Indian cinema is much more than her association with Guru Dutt — and so the idea of this book was to explore the other key films of her career, to learn something about her family background and to get to know her as the lovely and gracious person that she is both off and on screen. In India we don’t have a tradition of long works of documentation such as this, and artistes are unaccustomed to such projects. How easy or difficult was it to get her to agree to this book? It took years! I first met Waheeda Rehman in the 1980s, and it was sometime in the 1990s that I first talked to her about a book. She believed her story was not interesting enough — she is genuinely modest and keeps thinking herself as “lucky” rather than as someone who has special talent and therefore has a story to tell. There is also the fear of offending others that makes most actors shy away from the idea of a biography. However, the subjects I have worked with know that I am more interested in their working life rather than their intimate romantic histories and long-forgotten spats. Kiss and Tell stories don’t interest me either, and to be honest I am the wrong person to look to if a reader wants that kind of book. You mentioned the format — I was taken by the conversation between Billy Wilder and Cameron Crowe and thought this approach would work well in the Hindi cinema context and this led to my first conversation book with Javed Akhtar in 1999. It is a good way of recording personal stories. I think more should be done on the current generation of filmmakers. One day we won’t have much of any substance on them either. What, to you, are Waheeda Rehman’s most distinctive qualities – as a performer and as a person? I think her acting style is natural, unaffected and very modern. She exuded a dignity and grace, in the way that Balraj Sahni or Motilal did. When watching these actors you feel these were real people with heart and “tehzeeb”. I also believe what dates a film the most, above photography or editing or costume, is the actors’ performance. If an actor is an old-style theatrical, over-the-top kind of performer – with flabbergasted rolling eyes or a shrieking voice — it makes today’s audience laugh, and even if the film is good the actor has killed it. No one could ever laugh at a Waheeda Rehman performance — even if her films are over 50 years ago, and belong to the black and white era (sadly now largely unappealing to the young) with social values long forgotten, her performance is contemporary in any era. This gives her old movies a timeless quality. Some of her notable performances were in “silent” scenes – such as song sequences in Guide (“Tere Mere Sapne”), Khamoshi (“Woh Shaam kuch Ajeeb Thi”) and Teesri Kasam (“Duniya Banane Waale”) where someone else is singing. Would you say she was particularly adept at dialogue-less gestures and expressions? In terms of her acting techniques, her dancing skills brought a lot to bear on her talent to “speak” through silent expressions. She herself talks of this, and I think this ability made her performances completely right for the cinema — because cinema should always “show” rather than “say”. Indian cinema’s dependence on verbose dialogue is a weak point, so knowing how to express emotions through the unspoken is a considerable gift. She comes across as someone who was very outspoken from an early age – whether demanding a costume clause before signing her very first Hindi film at age 17 or insisting that she use her own name. I think her background has something to do with her early confidence. When she spoke about her father, I got the impression that she was his favourite child. Her father was a District Commissioner in South India and had a standing in the community, and I am sure, even though she did not say it, her family must have moved among the elite of the cities where he was posted. As a result, she was probably not unduly impressed by status, fame and glamour, and so not intimated by the Hindi cinema world — she even mentioned in my book that she had not heard of Guru Dutt before meeting him, nor had she seen any of his films. 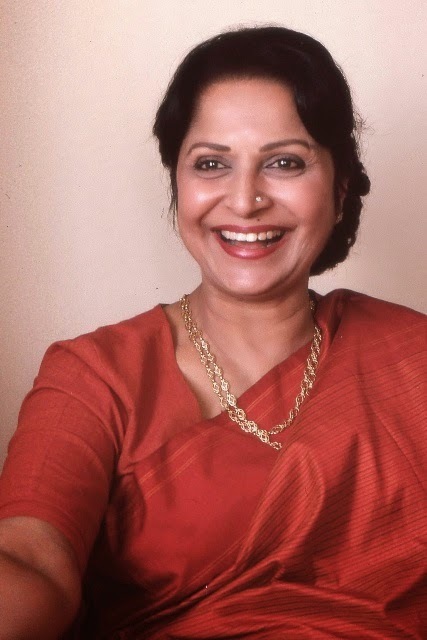 She worked with the top stars of Tamil and Telugu cinema before coming to Mumbai, and so insisting on keeping her own name (she is most likely among the first generation of Muslim actresses who did not change their name), and insisting that her contract with Guru Dutt Films had certain clauses in her favour was perhaps not unsurprising, given the context of her life. You note that apart from her roles in iconic films, she elevated many mediocre films. Did her discipline and single-mindedness make her an outsider in an industry where things were sometimes done in a shoddy, assembly-line way? I think she brought dignity to her mediocre films but couldn’t really disguise their essential mediocrity. She probably acted in some films for financial reasons too. But she is indeed fortunate to have an important legacy of classics. If you were to organise a season of her work, you have a variety to choose from — besides Guru Dutt’s three masterpieces, there is also Guide, Mujhe Jeene Do, Teesri Kasam, Abhijaan and Khamoshi. This choice of classics is not on most actors’ CVs despite their huge fame and personal wealth. The striking thing about Waheedaji is how content she is in herself. There is a stillness about her which is genuine. How did she rate her experience with Satyajit Ray (in Abhijaan) compared to regular mainstream Hindi cinema where logic and “realism” were not of the essence? Waheeda Rehman was delighted to work with Mr Ray. Remember she was the first Hindi film actress he cast and that felt like a great honour to her. The fact that his cinema was logical and realistic was a given, but what she got from that experience was the very meticulous method of his working. He was a towering figure in Indian cinema, and to work with him meant a lot to actors. She also comes across as someone who wasn’t preoccupied only with her own contribution but was clued in to the mechanics and effects of filmmaking: suggesting that her own song in Pyaasa (“Rut Phire Par Din Hamaare”) be removed because it was “boring”, speaking about the way playback singing and acting play off each other. Did she ever want to become a director or do something else behind the scenes? She did speak about wanting to direct but didn’t think she could. Maybe that generation of actresses did not have the confidence to try. But even today how many talented actresses anywhere in the world decide to direct? Even Meryl Streep has not ventured down that path. Because Waheeda Rehman has a curious mind and likes to learn about how things are done, she came to have an understanding of the craft of filmmaking. That was a bit of a surprise to me because I had foolishly assumed that film technique did not interest women of her generation. I discovered that I was very wrong on that score. The removal of her own song in Pyaasa is very much her. She isn’t obsessed by her own appearance in a film, but in how she contributes to the film as a whole. These conversations touch on her acting career as well as on her personal life, but were there some things you simply couldn’t discuss in the interest of discretion (her rumoured relationship with Guru Dutt, for example) or topics that she was unresponsive to? We did discuss her relationship with GD, but she said she preferred to keep her private life private. I respect that. Your conversations with Gulzar-saab were mostly conducted on Skype. These conversations with Waheeda Rehman were done in person, but are there any inherent disadvantages in the Q&A format? Do you sometimes feel like you have to take everything the subject says at face value? I think the Q & A format allows the subject to retain their voice. These conversations happen over months… at least twenty, two hours sessions with each subject. They aren’t really interviews that focus on the here and now and aim to be biographical in nature — so I try to include a wide range of subjects that touch on the personal and professional. This may not be the best or only way of working, but I like it personally because I think the way people express themselves, their use of vocabulary, their telling of life experiences, their emotional reactions to the past and to people — all these things allow you to have a sense of the person. My aim is to make the reader feel they are in the room, listening into this conversation. Accepting things the subject says at face value has to be a given in this format. You have to believe them, as you would anyone to whom you ask a question. People tell you what they remember, even if past events are embellished and embroidered by passing time, you still get a lot of fact and recounting of experience. At least it’s a first-hand account. That interests me the most. When I started work on Guru Dutt, everything I found out about him was based on hearsay. I never met him. I would have loved to read interviews with him. All memory is subjective. But what is the truth when recounting an incident? Remember Rashomon? You have done a great deal of work – through your documentaries, books, screenplay translations and talks – to help the archiving and documentation of our film heritage. Why has there been such neglect of our cinematic past? Why, for instance, aren’t there more incisive, well-researched books on some of our key moviemakers? I think it took a long time for writers who write in English to take popular cinema seriously. There were people in the 1980s who wrote about Hindi cinema, but they didn’t interview film practitioners extensively about their work. That’s as far as I know. There is a ton of cinema journalism available throughout all periods, but most of it is reportage and accounts of the here and now. Not details about working methods or analysis of films and methods of filmmakers. I think cinema was primarily seen as “entertainment.” And in the 1980s, Hindi cinema was regarded as down right low culture. Something you consume —meant for the masses. Post 1990s, Hindi cinema was regarded as an art and a most influential cultural force. Now there are a ton of books on Indian film, so we’re working in the right way for the future. The past? That’s gone. There isn’t enough recorded history of the most interesting film era (that’s the 1950s for me), nor the people who worked in that time. There are hardly any substantial film or print interviews. I mean you can’t find a singled filmed interview for example with Mehboob Khan or Sohrab Modi— isn’t that a terrible loss for film historians? My biggest regret is not pursuing the conversational books I had in mind with Majrooh Sultanpuri, Vijay Anand and Raj Khosla, people who passed away not so long ago. In fact I did start a conversation with Vijay Anand but he was appointed as the Chair of the Censor Board and asked us to do it later. That later never came. So I am confident these conversation books, including this one on Waheeda Rehman will have long-term value. Interesting. The reasons he has mentioned are also responsible for not many biopics coming out of Bombay. Interestingly, amazon website's description of Wilder's book says he was elusive. Was he? Wilder must have been elusive, but why would that be surprising - he was very old at the time, plus Hollywood directors of that era, who had worked within the studio system, were often wary about engaging in long, analytical conversations about their work. Filmmakers who worked in a mostly commercial framework, even if they were great artists with a strong personal vision, were often diffident about self-exploration of this sort. P.S. Nasreen is a "she"
Oops...apologies for that mistake. It should have been a "she". Pessimist Fool: well, you can always find scattered videos/short interviews of that kind in which even the most reticent people open up and talk about something for a few minutes. But committing to do a series of interviews for a book, about your life's work, creative processes etc, can be a wholly different matter. Pessimist fool : All Austrians are Germans anyway! The distinction between Austria and Prussia (modern Germany) is purely a political one (ruled by different dynasties traditionally). Back to Waheeda - Here's my favorite song featuring her. A very unassuming dance alongside Raj Kapoor (who is probably her orthogonal opposite screen personality wise). I happened to stumble across a part of these interviews Kabir had with Waheeda. And I found this bit very curious. Waheeda : My sisters Shahida and Sayeeda look a lot like her too. My eldest sister Zahida looks more like my father, who had Tamilian features. I have the same nose as my father. My maternal grandfather was a tall, fair-skinned man who worked in the police department. Everyone in my mother’s family was light-skinned. They were originally from north India – and their ancestors probably came from Afghanistan or Iran. Usually Muslims in the south aren't as fair. Her reasoning seems to be - "My maternal grandparents were very fair. Hence they must be from Afghanistan" Her father was presumably brown with "tamilian" features. Hence she is quick to emphasize her maternal side "blue blood" and downplay the father's side (who were probably Tamil converts). I am also Tamilian. My paternal grandfather (a wastrel part-time priest from Trichy) was also very very fair. And looked like a dark-haired Englishman. So do many others in my family. Yet, I don't see anyone in my family claiming they are "migrants from the north" or let alone Afghanistan. There are many fair skinned non-brahmin Tamils too. YOu never see them downplaying their Tamil identity and talking up some migration theory from the North. If you ask them about their origins, they will say they are Tamilians. Period. They really don't bother about any migrations that may have happened 2000 years ago. That's just irrelevant except for the academic. Yet, with Muslims, I see a difference. If I am fair, it means I am one of those with "noble" blood. With Afghan/Turk ancestry. I should not be bracketed with these dark skinned and short tamil muslims (who were presumably low-caste before their "conversion"). It's also interesting that in these interviews, she claims she was never fluent with Telugu or Tamil. Again fascinating given that she grew up in the South and both sides of her family are very much from South India! Maybe you saw too much in her answer. If she feels good about her Iranian/Afghan background, why not? "There isn’t enough recorded history of the most interesting film era (that’s the 1950s for me)"
I would disagree with Kabir here. The most interesting period for me are the 60s/70s. That is the period when Indian cinema turned Indian. The period when Indian melodrama flourished. The great "lost and found" movies of the 60s which were uniquely Indian in their melodramatic potential and excess. The great Salim Javed films of the 70s - which portrayed the struggle between good and evil within us, in Indira's India - a wretchedly poor India where virtue could be costly and vice very tempting. The patriotic films of Manoj Kumar which grappled with the deep-seated inferiority complex and self-righteousness of the Indian male, a man who represented probably the best of mankind say in 500AD but who had been rendered a loser by the cruel turns of history since. The women's pictures of Meena Kumari and Rajendra Kumar among others which revealed everything that is good and bad about traditional India. To me that's Indian cinema's greatest period. THe 50s were not about Indian cinema at all!! Indian movie makers were making Western movies with Hindi scripts in the 50s. Stuff like CID, Howrah Bridge, Paying Guest, Madhumati - those are not Indian films. Those are western Hollywood inspired models shot with Indian actors in an Indian language. They have nothing to say about India or Indians the way 60s/70s films do. "there is also Guide, Mujhe Jeene Do, Teesri Kasam, Abhijaan and Khamoshi"
As always the critic in Kabir focuses on the relatively off-beat films. And ignores the commercial work which is brushed aside as "mediocre". Rakhi is an excellent melodrama - with one of Ashok Kumar's best performances. 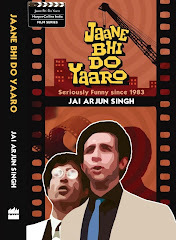 Same with "Ek Dil Sao Afsane" which features Raj Kapoor and offers us some truly memorable moments. 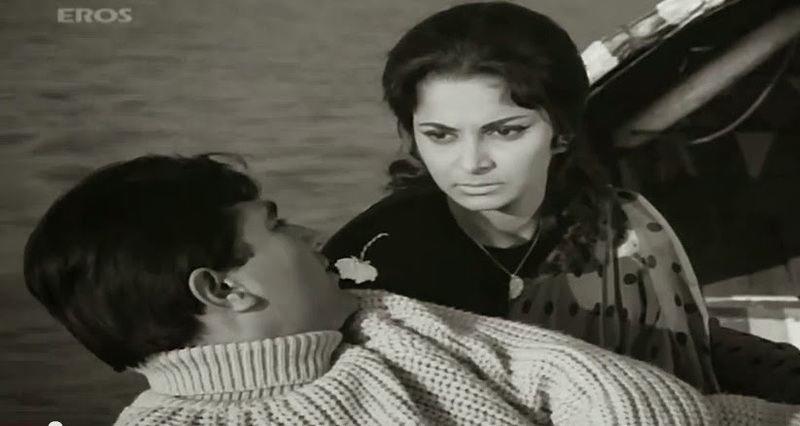 Her dignified and highly restrained little role in Trishul, a great Salim Javed melodrama, was also excellent. Mashaal is also a fine film. Critics should get over this habit of lionizing the same 3-4 films and start paying more attention to the more overly commercial works.